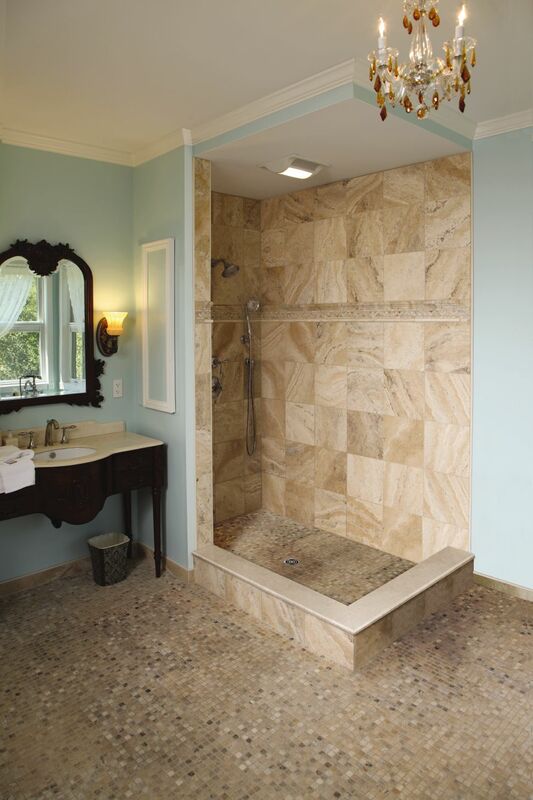 The tile chosen for this shower offered beautiful listellos, but no bullnose tile for the edges. 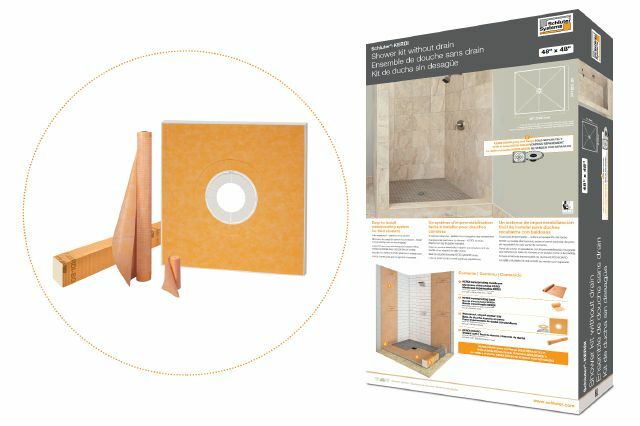 Light beige profiles integrated perfectly with the tile and eliminated the need for matching bullnose tile. 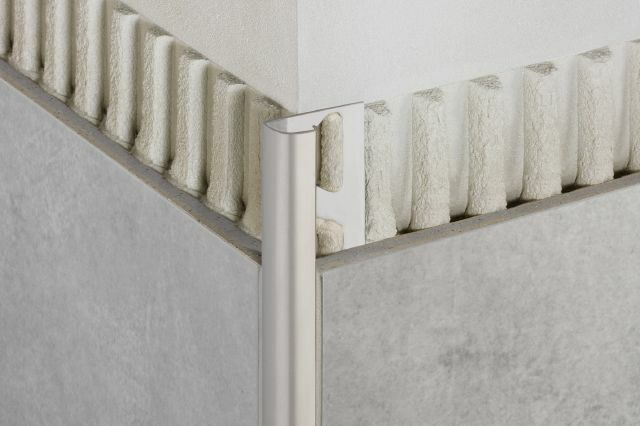 RONDEC bullnose profile used to finish the tile edges on the wall and tile base. 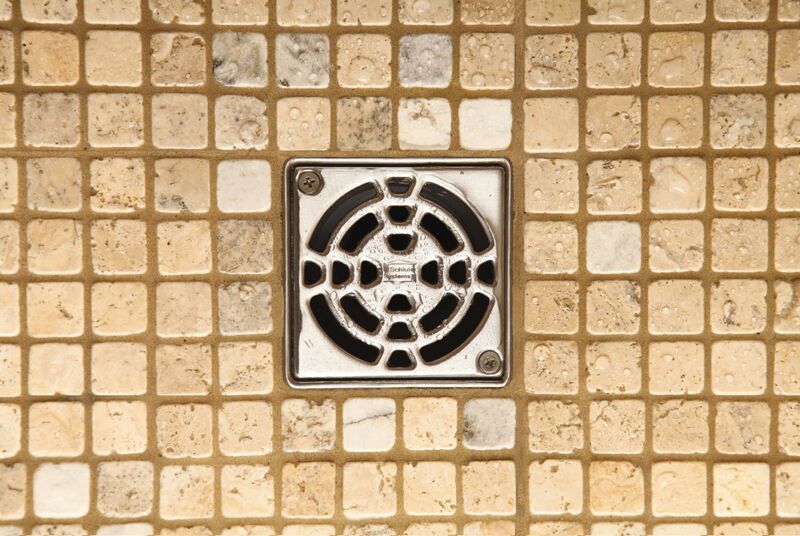 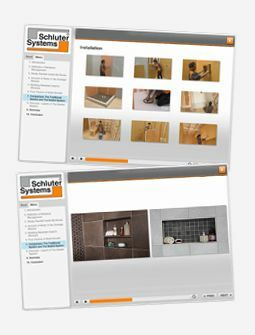 Stainless steel KERDI-DRAIN is featured in this shower floor, while the KERDI-SHOWER-KIT provides all of the essentials for the shower. 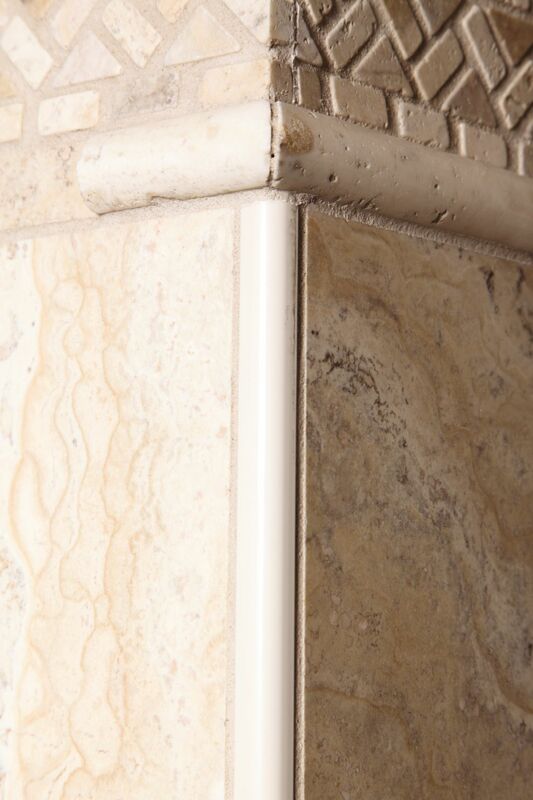 RONDEC bullnose profile in Sand Pebble used to finish the tile edges on the wall, and match the marble tile.